Children of pre-kindergarten age are typically quite interested in scientific demonstrations. 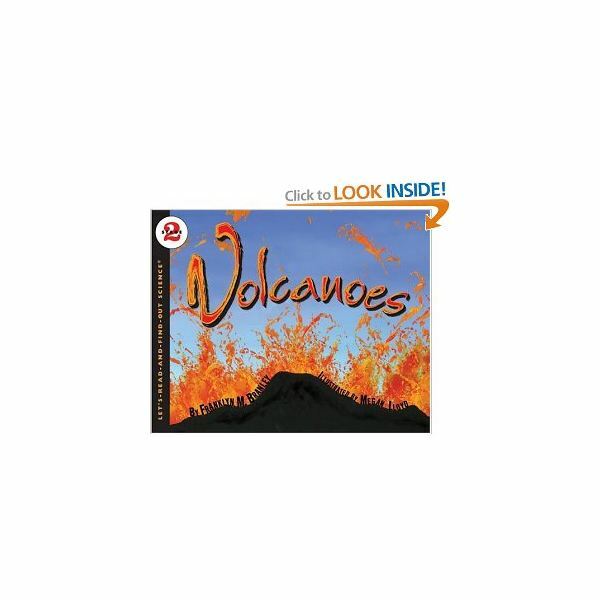 You can provide a creative learning experience by assisting their students with building a volcano craft. The base of the volcano can be made with either soil or clay. Choose the material you wish to use, make the base and then follow the directions for making lava for your volcanic eruption. Prior to beginning the activity, briefly explain what volcanoes are and why they erupt. Show the students some pictures or videos of real volcano eruptions so that they can get an idea of how the craft experiment will work. Sharing a book, like Volcanoes by Franklin M. Branley, is a great way to introduce children to these volcano activities. Because this volcano craft can get a little messy, you might to consider heading outside to make it. It can be assembled indoors as well, though teachers will need to keep the work area well covered with scraps of newspaper. 1) Set the paper plate on a flat surface, then set the plastic bottle in the middle of the plate. 2) Ask the children to take turns scooping the soil onto the plate and packing the soil around the bottle. Be certain that the soil is packed tightly to form a "volcano mound." 3) Give the students some twigs and leaves to use in decorating the volcano model. You can also make the base with clay or play dough if you prefer. Again, be sure to cover the area around and beneath the craft with old magazines or newspapers. 1) As with the soil based volcano craft, place the plastic bottle in the center of the paper plate. 2) Have the students take turns molding a volcano around the bottle, using either clay or red Play-Doh. Be sure that the open top of the plastic bottle is kept clean and free of the clay. 3) If desired, the children can decorate the volcano with brown and green Play-Doh plants. Follow this recipe when making the "lava" for these preschool science activities. Be sure to ask children to stand back as the chemicals react, as this process occurs very rapidly. 1) Place the tip of the funnel inside the plastic bottle at the center of the volcano. Using one ingredient at a time, measure and pour the baking soda, dishwashing detergent, and water into the funnel. 2) In a rinsed and dried measuring cup, mix the vinegar and red food coloring to create "lava". 3) Pour the "lava" through the funnel into the bottle, making sure to withdraw the funnel immediately when the ingredients combine. Watch with the children as the volcano craft erupts. Repeat process if desired for extra fun. As a fast alternative to this recipe, place one-half of an Alka-Seltzer tablet in the bottle and add colored water until the "lava" erupts. Many preschool science experiments, including these volcano activities can be done easily at home. Remember to send a list of instructions to parents so that children can enjoy sharing their newfound knowledge of volcanoes with their families.